Are you a writer or wannabe writer who’s saved everything you’ve ever put on paper? An embarrassing diary entry from when you were 12? Angst-filled poetry after you got dumped by your high school boyfriend/girlfriend? Then Reveille is for you! On Wednesday, April 22, 2009, the South East New Brunswick Chapter of the Professional Writers Association of Canada will present Reveille, an event where writers will share past works with the audience in an open mic format. 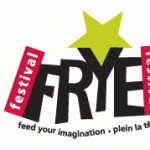 Making its debut at the Frye Festival, this event will see festival authors, local media celebrities and community leaders take the stage, with PWAC members (and Times & Transcript columnists) Brian Cormier and Brett Anningson as emcees. The event gets under way at 7 pm at the Moncton Press Club and admission is free. Reveille‘s goal is to show how releasing our inner childhood is key to effective writing. So start digging through your attic now to tell your no holds barred tales from youth at Reveille! For more information, check out our Facebook site; visit our website at www.monctonwriters.ca; or contact Rayanne Brennan, VP of the local PWAC chapter, at rayanneb@rogers.com or (506)961-3633.